Experience :Enrolled as an advocate with Bar Council and 3 years experience of practice at Bar or Judicial service and/or 2 years as a Law Officer in the Legal Dept. of a Scheduled Commercial Bank or the Central/State Government or of a Public Sector Undertaking and candidates should produce a certificate of having the requisite post qualification work experience from the Court/ Bar council/ organisation. 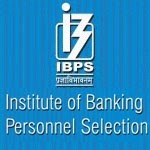 Institute of Banking Personnel Selection (IBPS) has released the notification of IBPS Recruitment 2013 to recruit the qualified and skilled job hunters for Law Officer Post. The job hunters may apply through sending the IBPS application form on or before 14.12.2013. How to Apply :Candidates can apply online only from 25.11.2013 to 14.12.2013 and no other mode of application will be accepted.